EarthSpirit Voices is the online journal of the EarthSpirit Community, a non-profit organization based in Massachusetts that provides services to a nationwide network of pagans and others following an Earth-centered spiritual path. We have begun to republish some of our favorite contributions to this blog. 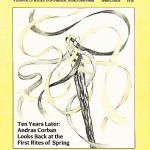 EarthSpirit newsletter was published until the Fall of 1997. After that time EarthSpirit moved to an online presence. We have gathered some of the most popular articles. 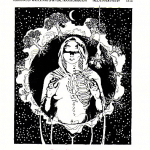 Caveat: We have moved the astrological almanac by Miriam Klamkin, which first started in our newsletter. (Thanks Miriam for keeping the online almanac every year since 1996 for our community). 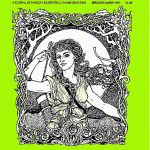 Seven issues of FireHeart magazine were published between the years 1988 and 1993. 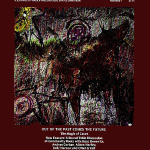 While the magazine has ceased publication, we are making available here a number of articles and other information which may still be of interest or relevance, most notably our articles on the Eightfold Path and Rites of Passage. From Roots To Dreams: Pagan Festivals and the Quest for Community – A retrospective of the first ten years of Rites of Spring, with a look toward the future. The Wicker Man: A Ritual of Transformation – A new look at one of the oldest and most widespread forms of pagan (and indeed human) worship. Rites of Passage: Handfasting – There is something unique about the ritual of hand fasting. This pledging of a vow between two people is the one chance to voluntarily create and experience a rite of passage. The Story of Real Vampires – To live with, love, or befriend a real vampire is to encounter a set of problems which may demand expanding the boundaries of one’s accepted reality. To come to terms with being a real vampire oneself is to face a lifetime’s karmic challenge. Rites of Passage: Circle Around Death – Our sensitivity to human death is heightened by our connection to human energy. And energy, transformation, and life are what we dance with as we circle around death. The Eightfold Path: Meditation – The common thread which marks all forms of meditation is that each aims at weakening ordinary reality’s hold while opening the mind and heart to subtler influences. Reflections on Death and Transformation – Most deaths make no sense to us. Unless someone dies in old age. we ask “Why did this have to happen?” We need a rational explanation, to feel we have everything under control. We never will. Toward A Magickal Birth – Each birth connects us with all the births that have gone before and with the women who have birthed before us, with all life that is yet to be and with the Earth which is continually birthing. Ways To Prepare for a Magickal Birth – Without serious consideration of the physical and emotional, it will be nearly impossible to concentrate on the spiritual. Rites of Passage: Puberty – Today, at least in Western cultures, we have no clearly defined threshold between childhood and adulthood, and our “rites” are randomly scattered throughout the mid-teen years. Perhaps we need to look at ways to redefine the doorway so that the circle of adolescence is complete. The Eightfold Path: Chanting – To make sound is to release spirit and energy, in order to restore balance and harmony. Chanting is one of the most natural and most ancient sound forms used by spiritual traditions in all ages to heal and energize. The Magic of Caves – Caves are powerful places. To enter them is to enter another world, but it is also to go to the heart of things. Rites of Passage: The Aging Pagan – Accepting the fact that we are aging, and merging with each cycle of our lives keeps the energy of transition flowing. We must build the community structures within which our elders might do this work. The Eightfold Path: Fasting – In order to grow, we must challenge ourselves, pushing our boundaries outward into new experiences and perceptions. Often, this process involves some discomfort. Fasting is one of the most primal of the challenges we can set to ourselves. The Unquiet Grave: A Meditation for Allhallows – “The ancestors” — the very word calls up images of a calm, rote piety, little shrines, gifts of food to the dead who have no mouths to eat it. But can any rote piety survive the death of someone you know by name? Rites of Passage: Celebration of Birth – A circle introducing the newborn to the Universe is a way to remember that children are not “ours,” not something we possess. They have separate destinies with their own reasons for being, and their own relationship, if they find one, to the Sacred. The Eightfold Path: Breath – Every human spiritual tradition has a concrete set of techniques for working with breath. In shaping our breathing, we create change, and these changes can be understood and used. Considered by many to be the “mother” of the contemporary pagan movement, Doreen Valiente was an early initiate of Gerald Gardner’s in the 1950’s, and made many significant contributions as a writer and ritualist. This Fireheart interview was conducted by Michael Thorn in 1991, when Doreen was 69. Paganism and Myths of Creation: A Ritual of Transformation – Order and chaos, action, and the mirroring of creator and created — these are clues to the larger problem of living without foundations or origins. But first we must consider “creation” and “origin” in their mutuality to see if we can think their meaning and relationship in a new way. The Eightfold Path: Isolation – Like all the methods of the Eightfold Path, isolation is best used with care, thought and clear intent. As a controlled magickal tool, isolation can be used to help us reach beyond our boundaries without forcing us to leap irrevocably off the edge of the world. An Historical Overview of the Whereabounts of Gnomes and Elves, Fauns and Faeries, Goblins, Ogres, Trolls and Bogies, Nymphs, Sprites and Dryads, Past and Present – The friction between man and the wood creatures began with the discovery of agriculture. Our children can see their world in their dreams. Their children see our world in their nightmares. 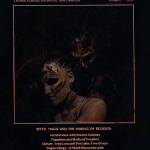 Pagan Clergy Panel – The following four rounds of panel discussion on the topic of “Pagan Clergy,” were published between 1988 and 1993. Now more than twenty years later, many people throughout the U.S. pagan movement continue to refer to it as a source of stimulating, provocative, and even prescient ideas which remain relevant for our community today. Since we still often get requests asking for reprints of the panel, we are making it available here for greater accessibility; please keep in mind that this piece — as with all reprints from our publications — remains under copyright protection, and that all pertinent limitations still apply. The panelists’ bios have not been updated, and as a result some of them may no longer be accurate; we chose to retain their original texts because they are germane to the contents of the discussions. 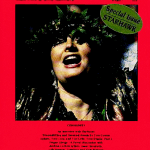 FireHeart Interview with STARHAWK – A 1993 conversation with Starhawk, on writing, community development, activism, and the spiritual search to heal what’s broken in our society. “My wish for the Pagan community is that we could really raise these issues outside of our own community as well as within our own community …. in a way that will be lis–tened to, that we could make some changes in the old world culture—a real shift in priorities—and put the Earth at the top of our list of priorities as being the Goddess”.